Monica S. McGowan took her music education background – Bachelor of Science, Music Education, Chadron State College, Chadron, Nebraska – and found her life’s passion in handbells. That career has led to teaching handbell choirs, students and ensembles in churches, schools and community groups throughout the United States, Canada, the United Kingdom, Australia and Puerto Rico. In 2017, she was selected to conduct the All Star Choir at the National Seminar for the Handbell Musicians of America in Anaheim, California. 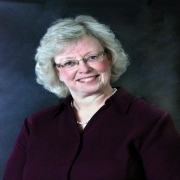 Monica has served as Director of Handbells in Methodist, Lutheran and Episcopal churches from Minnesota to Louisiana. During her tenure as Director of Handbells at Shepherd of the Valley Lutheran Church, Apple Valley, Minnesota, she established a comprehensive handbell program for grades 2-8 and two adult handbell choirs. Her experiences in conducting youth choirs have included Young Ringer Conferences in Areas 5 and 7 for the Handbell Musicians of America; Kids Ring! and High School Handbell Happening in Minnesota, the Illinois Young Ringers Festivals and the High School Ring Out in Merrimack, New Hampshire. She serves as a handbell adjudicator for the Minnesota Association of Christian Schools Fine Arts Festival held annually in Plymouth, Minnesota. Monica was certified as Massed Conductor in the first Master Classes for Conducting and Conducting Massed Choirs. She has completed studies with Dr. Donald E. Allured, Dr. Paul Rosene, David R. Davidson and Dr. William Payn. During her tenure as the founding Artistic and Music Director of Twin Cities Bronze, Minneapolis-St. Paul, Minnesota, she led the ensemble to recognition as an internationally acclaimed handbell ensemble known for its professional musical artistry. In August 2017, Monica was hired as Artistic and Music Director for Bells of the Hills, a community handbell ensemble in Rapid City, South Dakota. Monica brings her extensive training, passion, love, enthusiasm and knowledge of handbells and handchimes to every forum and venue, providing a challenging, successful and fun experience for all its participants.